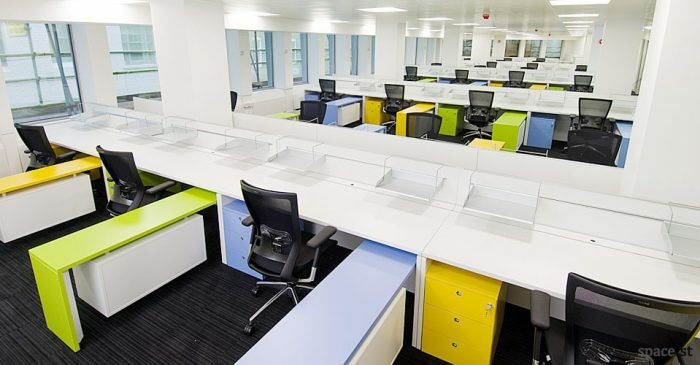 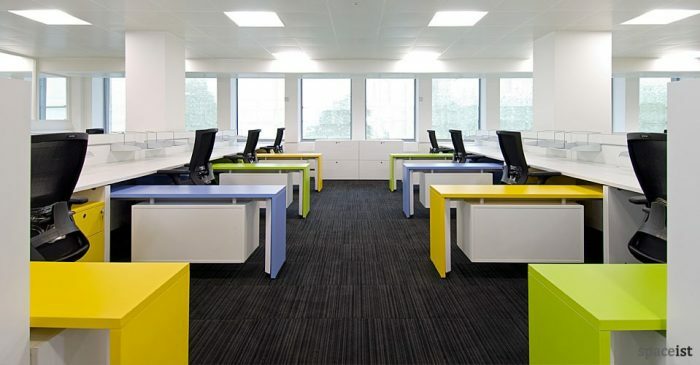 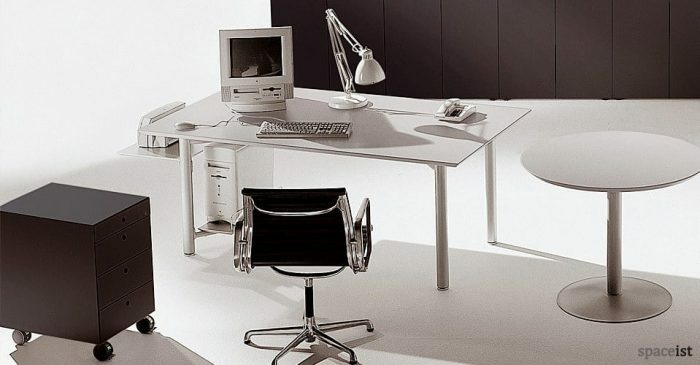 Categories: Office desks, Office ranges, Bench desks, Colourful office desks, Tre desk range. 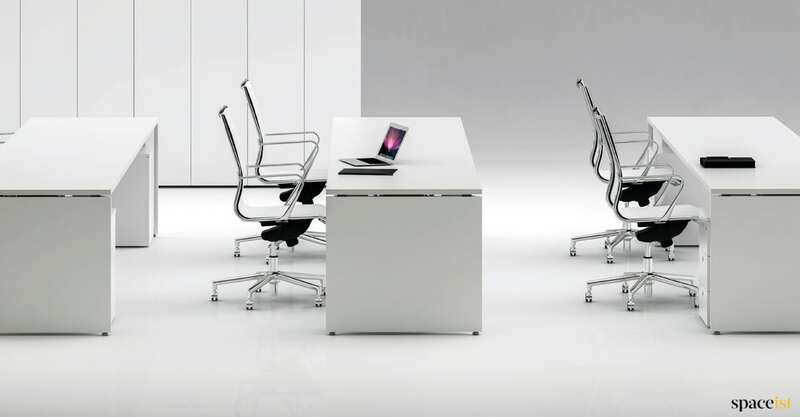 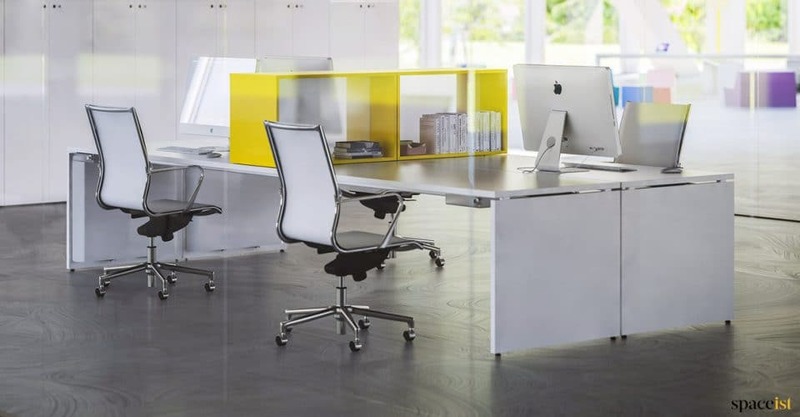 The long panel desks offer a stylish alternative to a standard desk layout. 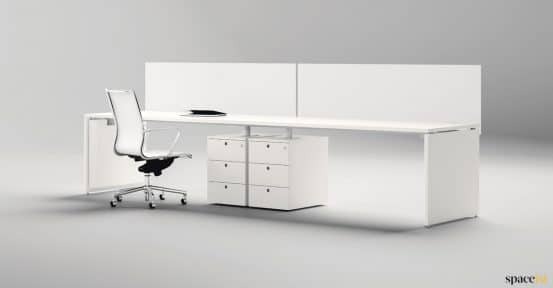 The desk top is 80 or 90cm deep and up to 360cm long and is supplied in a number of finish options including lime, white, light grey, oak or walnut melamine. 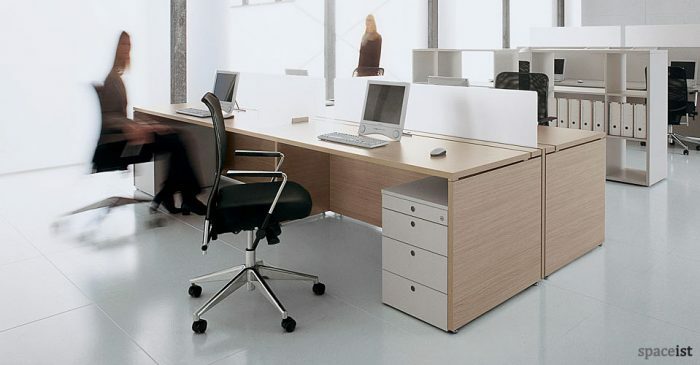 A lower long supporting table is able to ride under the desk top creating an attractive narrow return in the middle of the bench. 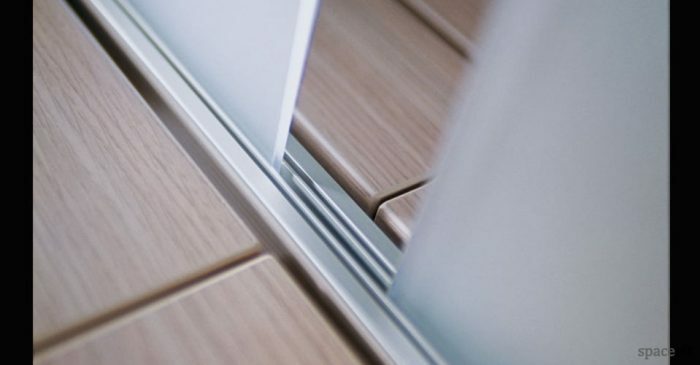 Matching low and tall storage.